Eugene Airport allows its passengers to use three parking options. The Short-Term Parking allows leaving a vehicle for a short period with a $1.25-fee per half hour and a $14-fee per day. Its overall capacity is 237 cars. The Long-Term Parking allows leaving a vehicle for a more extended period with a $2.50-fee per half hour and a $12-fee per day. Its overall capacity is 1000 cars. 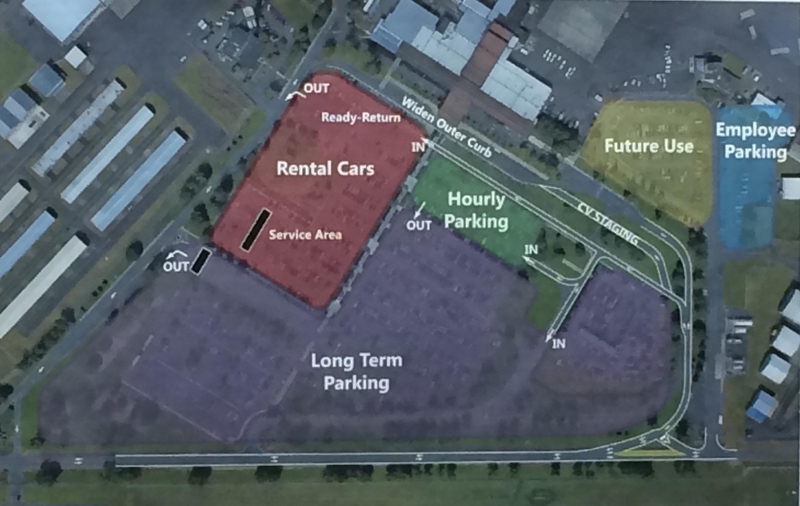 The 24/7 Economy parking lot located across the long-term parking area serves shuttle services and has the overall capacity of 582 cars. The fee for an hour reaches $2.50, $10 per day, and $60 per week. When parking in that area, the one will be carried by the airport shuttle to and from the terminal. The ADA parking space located on the territory of the short-term parking area has a fixed fee of $10 per day. To pay for the parking, the one shall take a ticket at the entrance and insert it into the machine at the exit. The device will calculate the fee and give the bill, after that, the payment may be made with cash or debit/credit card. The Disabled Parking area is located on the territory of the short-term parking and has a fixed fee rated of $8 per day.